Robyn and I went to see the film Julie & Julia the other night. You probably know the gist: It's the more or less true story of a young woman who cooked every one of the 500-some recipes in Julia Child's first cookbook and blogged about it. The movie has no real plot. It's just a series of mostly entertaining scenes in which Meryl Streep whoops her way through a dead-on impression of the familiar chef and Amy Adams bawls about how boring her life was until she learned to cook. The lesson, if there is one, is simple: Never crowd the pan when you sauté mushrooms or they won't turn brown. Despite her kooky voice, the late Julia Child was obviously one smart cookie. She mastered the art of French cooking (clearly a prodigious accomplishment) and went on to co-author the aptly named book, Mastering the Art of French Cooking. And, of course, she became America's first and best-loved TV celebrity chef. The movie, however, memorializes her as the person who somehow elevated American cooking -- and American tastes -- by showing average folks that it was possible to do more than pop a frozen tray of turkey and mashed potatoes in the oven. I think this is awfully silly. I'm a big fan of French cooking, particularly if eating it involves a trip to France. But I'm also a big fan of American cooking -- really, any kind of cooking that ends with a good meal in my stomach. Some say American cuisine is less sophisticated than French cuisine. You might just as honestly say it's less fussy and pretentious. But really, American food is like the American language -- rich, varied and strongly influenced by all the groups that made this their new home. What's true is that by the 1950s, many Americans were falling into the habit of eating dinner out of cans or bringing it home in a box or bag. Julia didn't change that. Today's supermarkets offer more ready-to-eat choices than ever. What's false is the notion that all Americans were lazy or at least uninspired cooks pre-Julia. Consider my mother, for example. Mom worked very hard, six days a week. 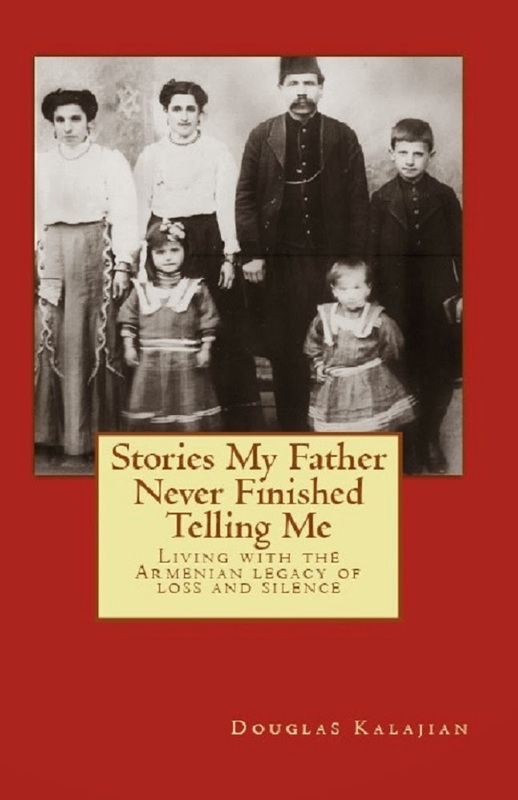 But each night, she prepared a feast -- nearly always, an Armenian feast. She had little use for cans, wouldn't so much as look at a frozen TV dinner and dismissed all suggestions of using Minute rice or instant potatoes. Typical dinners: Fassoulia, lule kebab, tass kebab, along with a heaping platter of bulgur pilaf and a bowl of freshly chopped Armenian salad. Winter meant heartier stews like gouvedge, and a variety of dishes made from salted lamb cooked and preserved in its own fat (khavoorma). And every meal was accompanied by her fresh, home-made madzoon (yogurt). All this required a lot of advance planning as well as advance cooking. 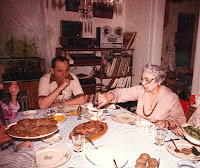 She was often at the stove long after my father and I had left the table, getting started on the next-day's dinner. Of course, I think my mother was the greatest cook who ever lived. I hope you feel the same way about yours. 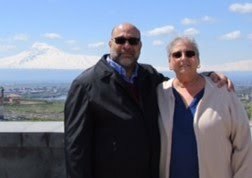 But the important point is that her devotion to cooking well and in abundance was hardly unique among the Armenians we knew right here in America. I applaud Julia and Julie both for learning how to bake a soufflé -- but really, does that compare to the skill and patience required to make the thin, stuffed shells of meat we call keufteh? Maybe, but I'm certain of this: I know which one I'd rather eat. My vague recollection of seeing Child is that it was a relatively straight forward cooking show. I haven't seen the movie, but every review emphasizes what a card the lady was. How did I miss that? Anyway, the message I got wasn't that French food was better than ours, but that if you wanted it, you could make it. Child didn't put on any airs, I don't think. I should have paid more attention because now it all sounds kinda good! Thanks for a great item. Anything that brings back home cooking is welcome! I love hearing about your mother's dedication to feeding her family. And how it fed more than just your stomach.